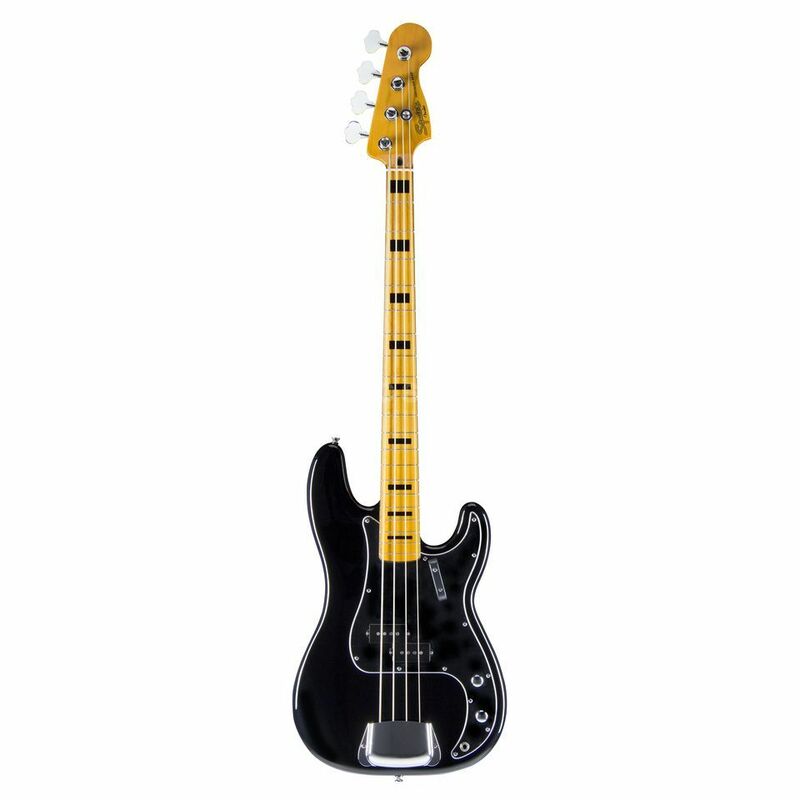 The Squier Classic Vibe Precision Bass '70s 4-String Bass Guitar Black evokes the look and vibe from that musically adventurous era. The smartly alluring all-black look of the Classic Vibe Precision Bass ’70s extends to the pickguard, the finger rest and, in a stylish touch, the binding and block inlays on the Maple fingerboard. The split-single-coil pickup delivers classic Precision muscle, and the Hi-Mass bridge with brass ‘barrel’ saddles keeps intonation rock solid.